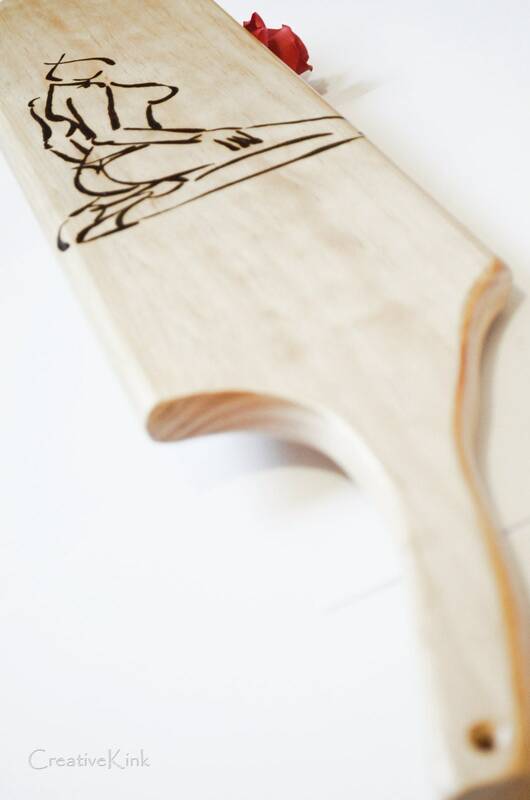 Spanking Paddle, deep burned stylized slave girl artwork - extra long and wide! Hand burned pyrography, done by Miss Machiavelli, one of our owners. 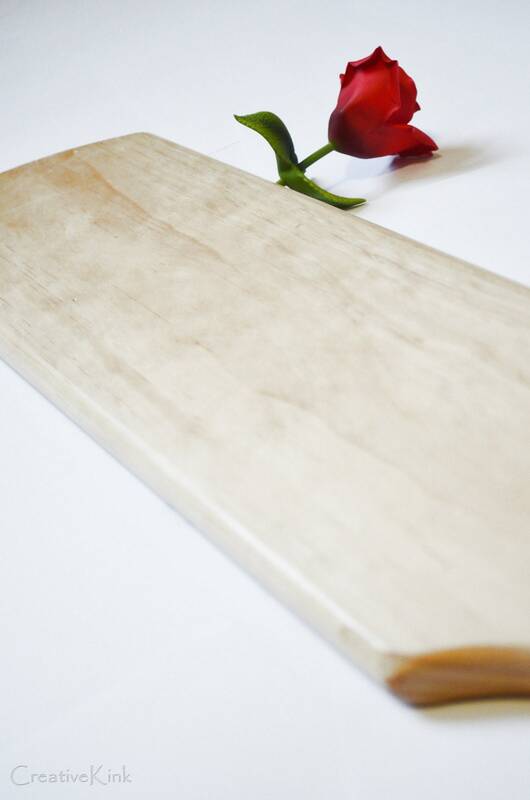 The paddle is worked in our shop, with hand and tool, shaped for a good long spanking play time. • Color: Natural tone with pyrography design.